These two mediums have been the standard for quite some time. A few years ago, many organizations started utilizing instant messaging in some capacity to move things along. Together they are the base of what is called a unified communications platform. Since today’s solutions tend to integrate with one another, it makes it easier to communicate (and more aptly–to get the answers users need to accomplish their tasks proficiently). 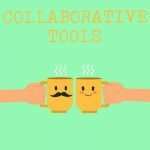 These titles, called collaboration tools, provide users an email-like interface that is more dynamic and capable of delivering all the solutions needed by workers to get the most out of their workday. One example that immediately comes to mind is Slack. You can think of Slack (and other solutions like it) as a communications hub that gives your employees access to all the tools they need to collaborate more effectively with their peers. It can be described as a single point of contact, in a way–almost like an integrated intranet with all of your business’ specific tools available in a single interface. Does your business hope to make progress in the field of communications and collaboration? The right solutions can help. To learn more about how ActiveCo Technology Management can help your business, reach out to us at 604.931.3633.